Margaret K. McElderry Books, 9781442457447, 384pp. 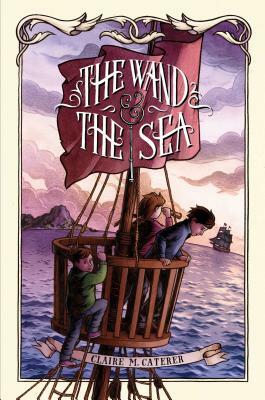 The fantastical adventures continue--this time with pirates--in the magical sequel to The Key & the Flame, which Publishers Weekly called "sprightly" and "exciting." It's been a year since Holly and Ben Shepard first traveled to England and journeyed with their friend Everett to a fantastical realm called Anglielle. Now Holly and Ben are back, hoping to again join Everett and return to the land ruled by a ruthless king and sorcerer who have outlawed magic. But when they arrive, Anglielle is not what they expect: Their friends are imprisoned and the alliance is scattered. Ruthless King Reynard and the sorcerer Raethius are determined to find the very Adepts they exiled in the first place. But why? It's up to Holly and the boys to sail to the Isle of Exile and find the Adepts first, but that means enlisting the help of the Water Elementals--and a pirate captain with a secret agenda.